The Graduate and Postdoctoral Faculty of the College of Graduate and Postdoctoral Studies (CGPS) is established under the authority of the University of Saskatchewan Council, whose powers and duties are in turn established by the University of Saskatchewan Act 1995. 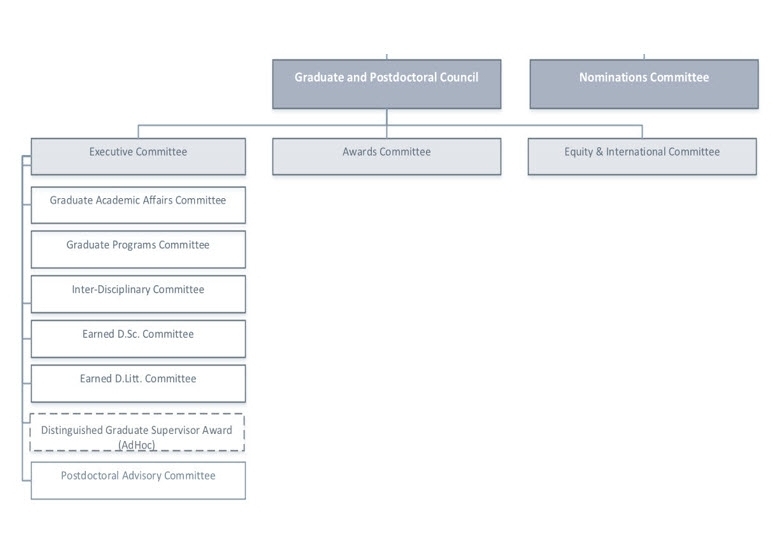 In addition to its statutory powers and duties, the Graduate and Postdoctoral Faculty serves as a forum for the participation and engagement of members of CGPS in discussions of policies, plans and decisions by the college administration that directly affect those areas for which faculty council has responsibility. The Graduate and Postdoctoral Faculty meet in May annually. Decisions made on behalf of the Graduate and Postdoctoral Faculty have been delegated to the Graduate & Postdoctoral Council of CGPS.